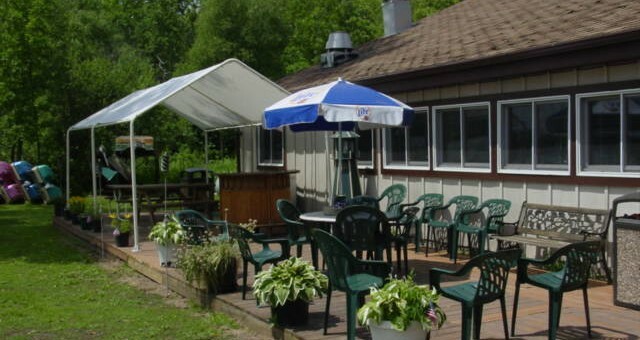 Besides being the only campground on Potato Lake with a full menu that includes fantastic homemade pizza, awesome appetizers, scrumptious sandwiches and burgers, and specials that will have you coming back week after week, we have the following amenities for your convenience. We have the following amenities for your convenience. Call for more info and availability! Potato Lake is a 534 acre Class A Musky lake! There are also abundant populations of Walleye, Bass, and Panfish. Fishing is taken seriously here and recreational water sports are kept to a minimum from the four campgrounds on the shores of Potato Lake. “The Muskellunge is one of Wisconsin’s most important and unique trophies. It is so highly valued that the State Legislature proclaimed it the official State Fish in 1955. More world records have been landed in Wisconsin than anywhere else. The state and world record is a tremendous 69lb 11oz fish taken from the Chippewa flowage. Wednesday 3:00 - 10:00 p.m.
Friday 3:00 - 12:00 a.m.
Saturday 9:00 - 12:00 a.m.
Sunday 9:00 - 6:00 p.m.
© 2019 Lured in Resort. All Rights Reserved.